Congratulation to the LIPAc Operation Team!!! After a shutdown period of more than five months long, along which a thorough maintenance campaign on the injector took place, 90keV proton beam, with more than 100mA current, was extracted again this week, in preparation for the last injector commissioning campaign that will span over 5 weeks until November 4th. From October 3rd until November 4th the last campaign of the accelerator commissioning will take place. This time will be used to fine tune the source before the RFQ is finally assembled attached to it by the end of November. To assure the optimal condition of the injector for this important stage, a thorough maintenance campaign has been performed along the summer, with more than 70 interventions including vacuum system, PPS and control system upgrade, recalibration of high voltage power supplies, RF equipment and the complete cleanup and reassembly of the injector column. In parallel, during this period, installation activities have progressed steadily. In the vault, the RFQ finalized the assembly of the four super modules and completed the bead pull measurement tests satisfactorily, in preparation for the last piping and cabling works. 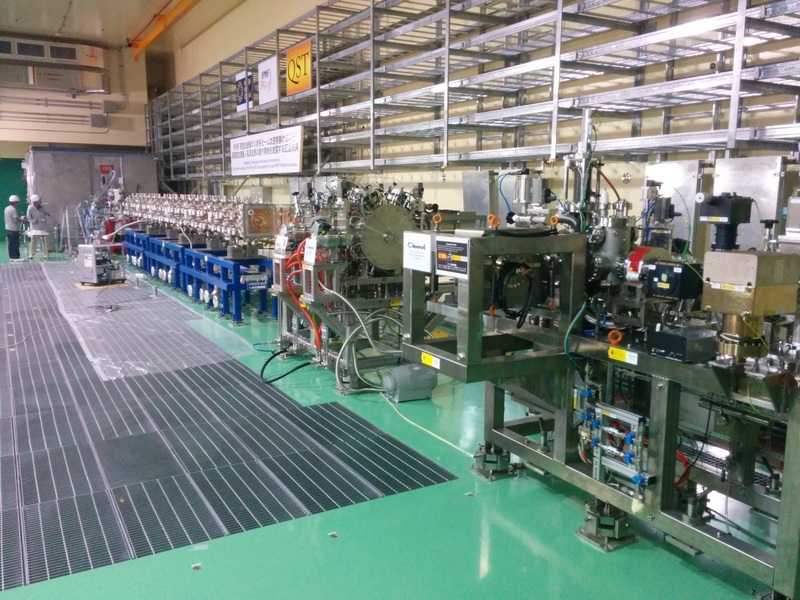 In addition, a task force from CIEMAT has been working on MEBT (bunchers, quadrupole magnets) and D-Plate (which hosts most of the beam instrumentation) to finalize the mechanical installation, pressure and vacuum tests and signal cabling. Regarding the RF system, all eight chains for the RFQ and two for the bunchers have been installed commissioning will start soon. Currently, coaxial transmission lines are under the final stage of installation. 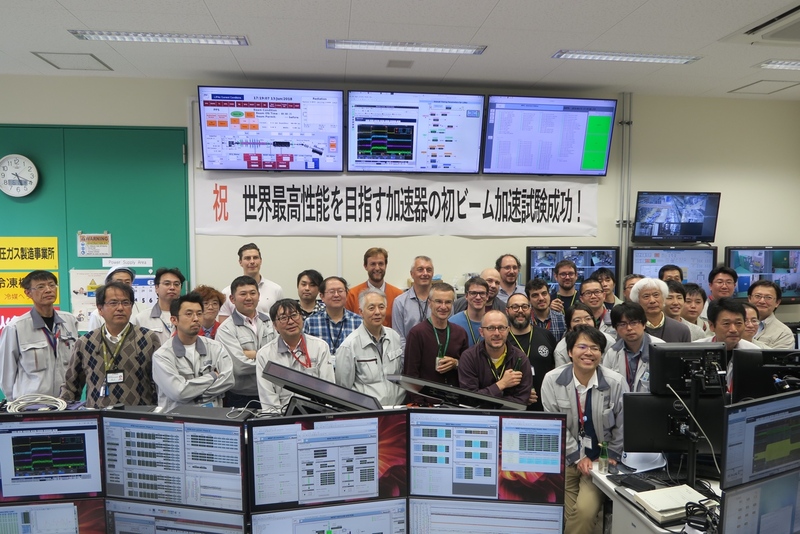 On Thursday 21 April, a celebration took place as major accelerator components had been transported by F4E to the Rokkasho Fusion Centre allowing the start of second phase in the commissioning of LIPAc. This is another major milestone on road of success for the IFMIF/EVEDA Project. Already in 2013, the engineering design activities were successfully accomplished on schedule. By 2015, the Target and Test facility validation activities were fully completed, with the exception of the on-going corrosion/erosion tests in the lithium loop constructed in Brasimone by ENEA. 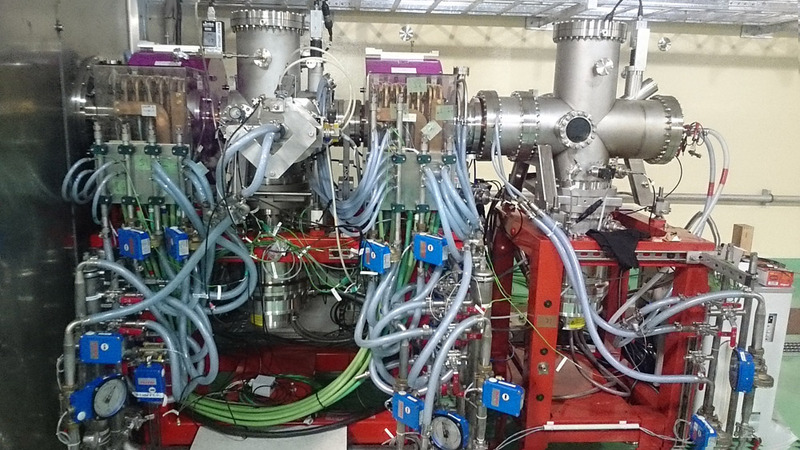 This facility is now providing important results to quantify the corrosion/erosion rates of fusion reactor steel grades in contact with a high speed flow of liquid lithium. 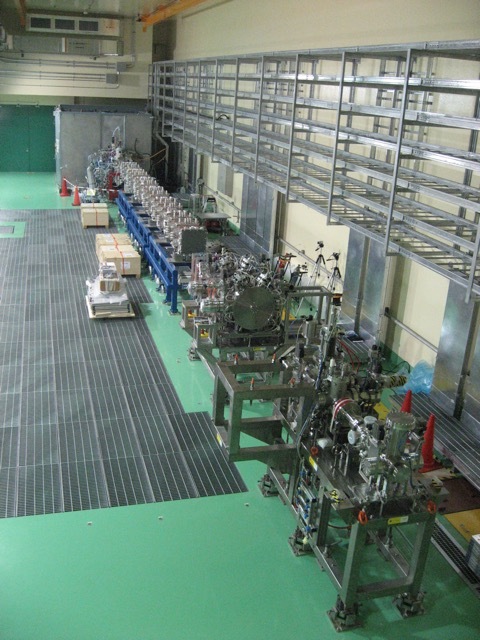 The LIPAc is under installation and commissioning in Rokkasho. Its key systems are designed and manufactured mainly by CEA, CIEMAT and INFN integrating also some important components contributed by SCK-CEN (see Figure above for a breakdown of the contributions). The LIPAc is designated to operate in unprecedented beam conditions at the cutting edge of present days’ accelerators technologies. 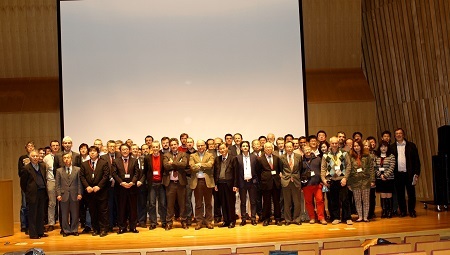 During the previous meeting of Broader Approach Steering Committee (BASC-17), hosted on 11 December 2015 by RFX, an extension of the LIPAc validation period until December 2019 was approved. 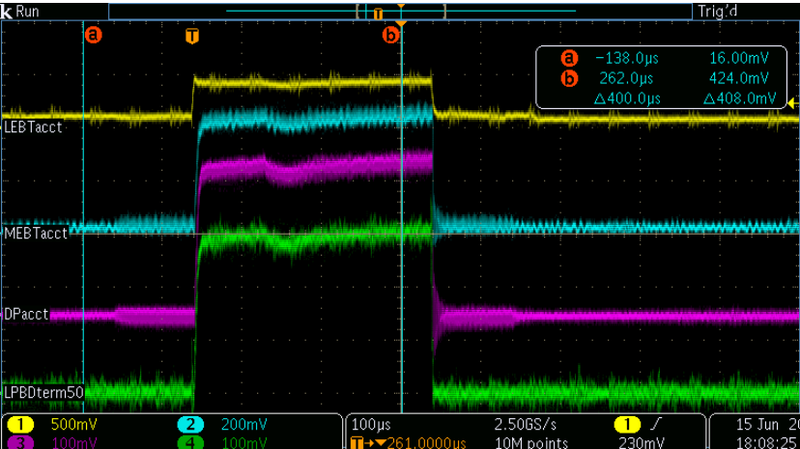 The deuteron source (Injector) developed by CEA has demonstrated that the beam characteristics are achievable in a parameter field never reached before (100 kA and 140 mA deuteron beam). 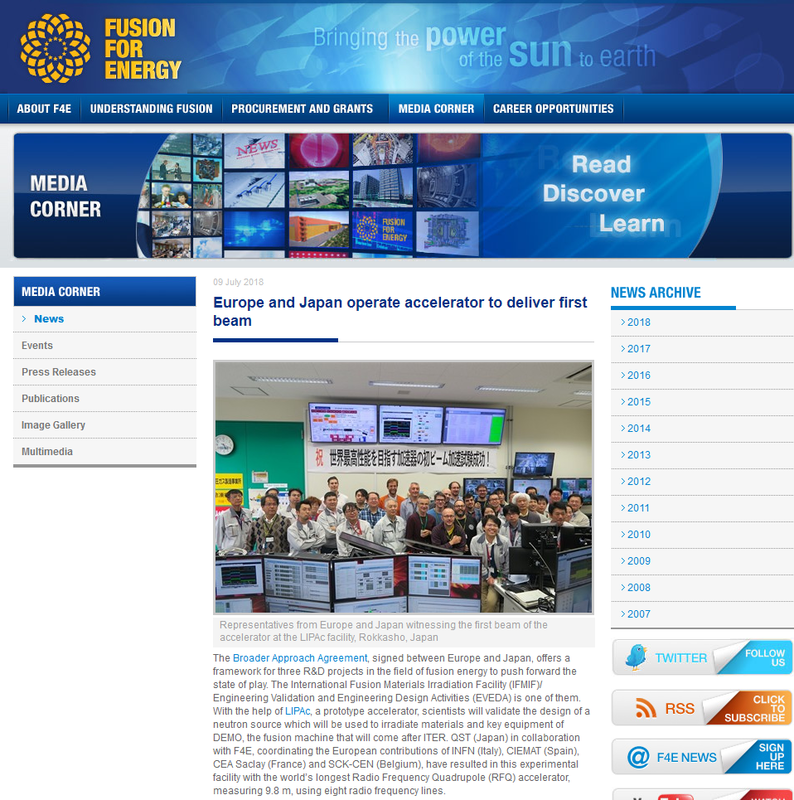 An operational point with protons to be used as beam input to the ensuing accelerator stage, the Radio Frequency Quadrupole (RFQ) developed by INFN, has been determined. 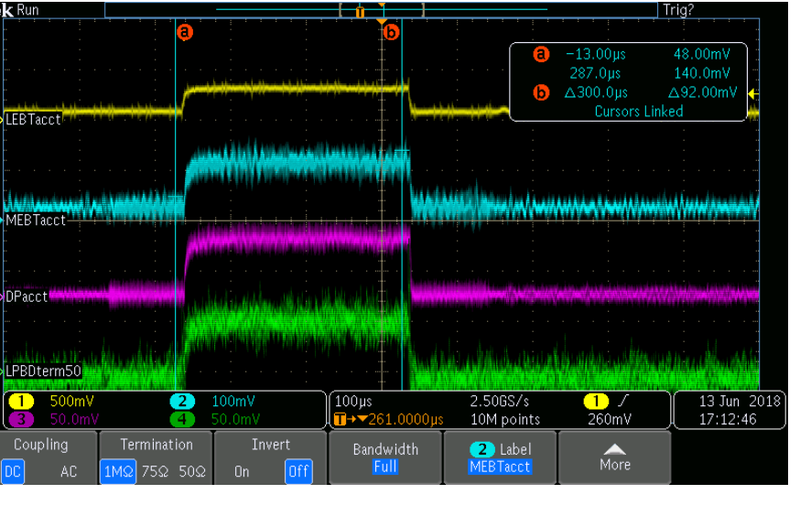 Additional commissioning of the Injector towards the mandated operation mode in Continuous Wave, i.e. 100% duty cycle of the beam, will take place during 2016 interleaved with the preparation activities for beam commissioning with the RFQ. 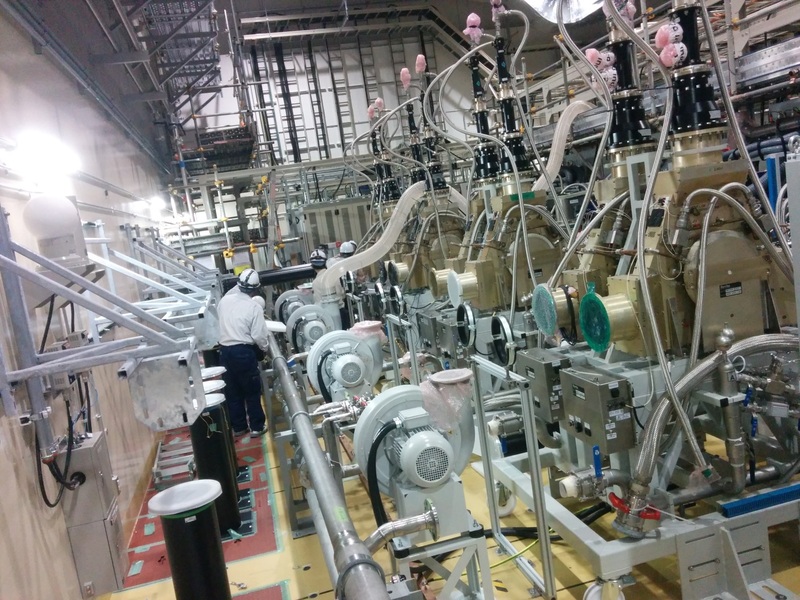 The RFQ now under installation at Rokkasho is the longest one ever constructed. Today 6 out of 8 RF power chains developed by CIEMAT are already installed, which are to deliver 200 kW each to operate the RFQ. The last two chains are to arrive before the summer. 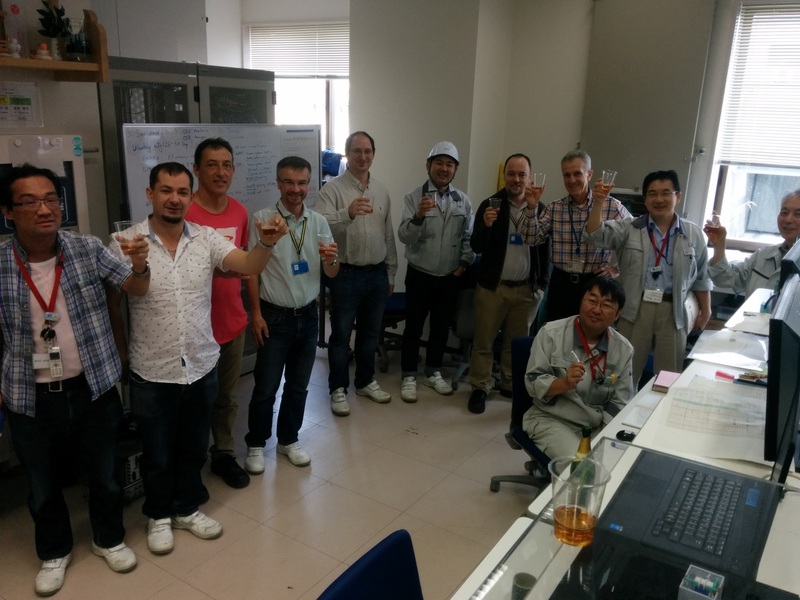 The celebration of the success of the Injector commissioning and the start of installation of the RFQ and the RF power generator for the Linear IFMIF Prototype Accelerator enjoyed utmost interest among European and Japanese partners. 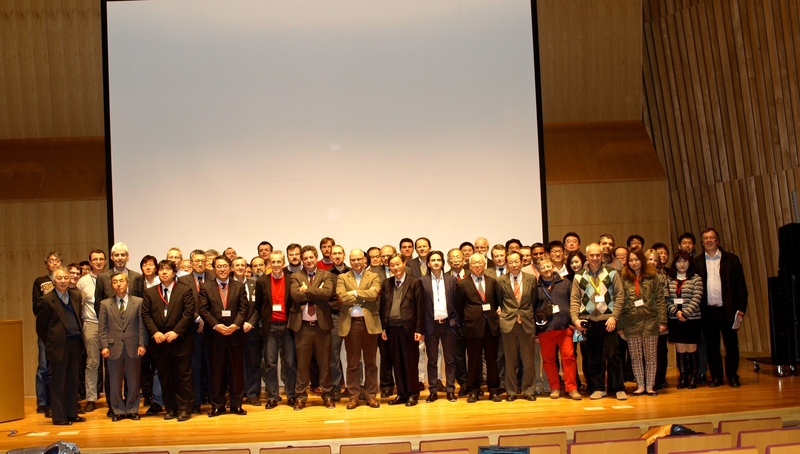 The celebration received the participation of representation from the European Delegation in Japan and the Embassies of all the six European countries that have been involved in the IFMIF/EVEDA project. 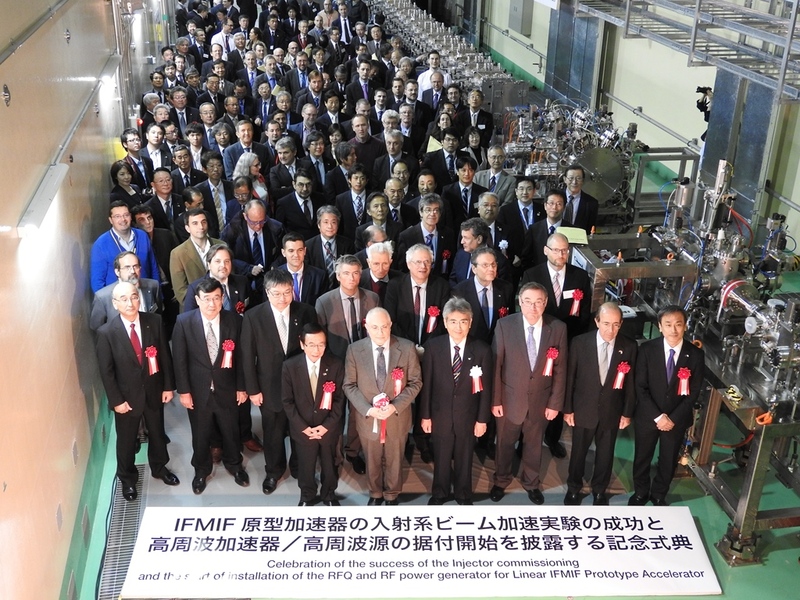 Among the European guests were the Ambassador of Spain to Japan, Gonzalo de Benito; the Director of Nuclear Energy, Safety and ITER of the DG Energy in the European Commission, Massimo Garribba; the Chairman of the Governing Board of F4E, Joaquin Sanchez; the Chairman of CEA, Daniel Verwaerde, the member of the Executive Board of INFN, Eugenio Nappi; the Directors of INFN Legnaro, Giovanni Fiorentini, and of INFN Torino, Amedeo Staiano; Angel Ibarra from CIEMAT. Among the Japanese guests were the Governor of Aomori Prefecture, Shingo Mimura; the President of QST, Toshio Hirano; the President of JAEA (to which the Japanese Fusion programme belong to until 31 March 2016), Toshio Kodama; the Deputy Director General of Research and Development Bureau at MEXT; Shuichiro Itakura. We are proud to announce that on February 22nd 2016 the RFQ supermodules boxes were received at Rokkasho BA site. 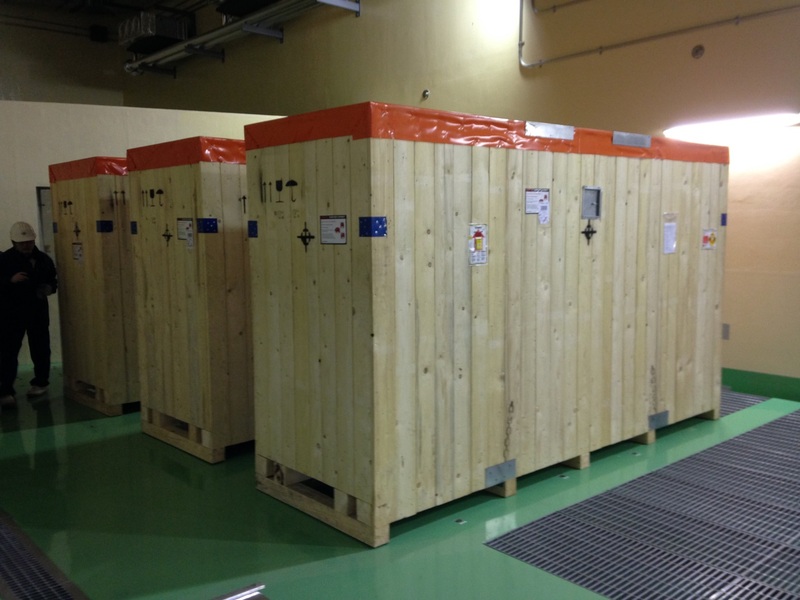 The three supermodules were delivered separately by INFN, already preassembled and aligned in INFN Legnaro (Italian National Institute of Nuclear Physics). The RFQ, a 10 m long structure composed by 18 modules flanged together will be the longest and will accelerate the highest intensity beam in the world (D+ particle from 0.1 MeV to 5 MeV at 125 mA in CW). All the supermodule packages have been stored in the vault area waiting to start installation shortly, as it has been scheduled to start from March 31st. 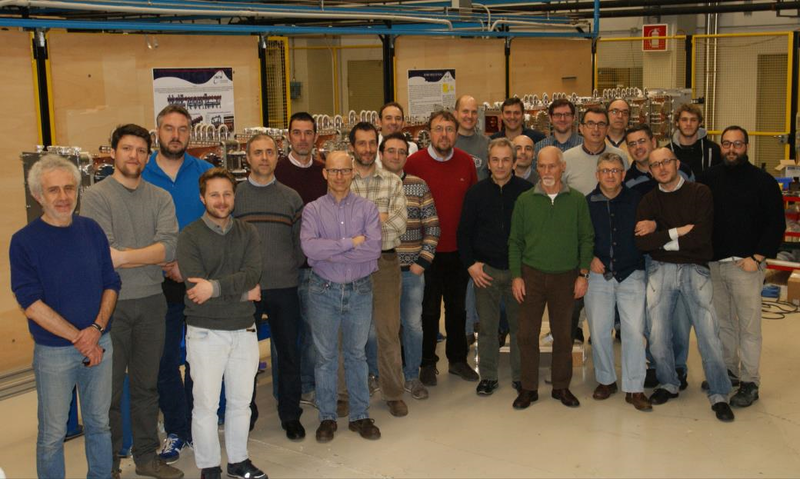 All the IFMIF community wants to thanks all INFN personel involved in the design, fabrication, assembly and testing of such high technology subsystem. 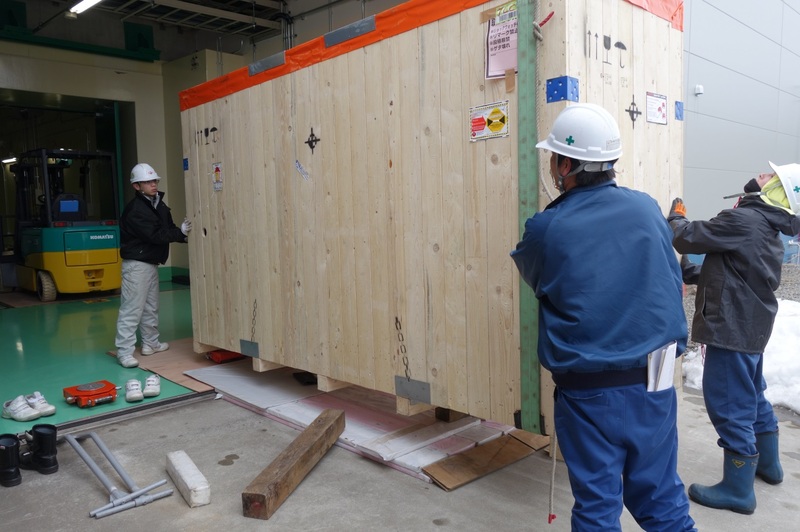 Last week additional components delivered from CIEMAT were also received in Rokkasho, the spanish institute on energy and environmental sciences, including the HEBT cooling skid, the third RF module (after the already installed two first modules) and some ancillary components from the MEBT. 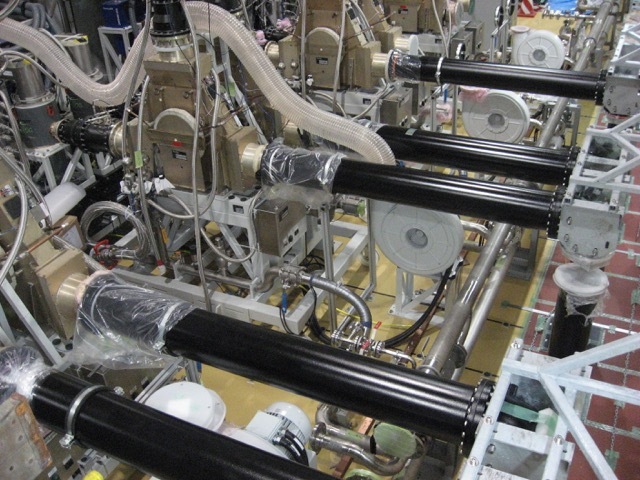 During this first half of year 2016 most components for next LIPAc Commissioning phase B are expected to be delivered to Rokkasho and to be installed, including the whole RFQ system, MEBT, diagnostics and D-Plate, RF Power system for RFQ and Bunchers, cooling system and the associated local control systems for all the above. 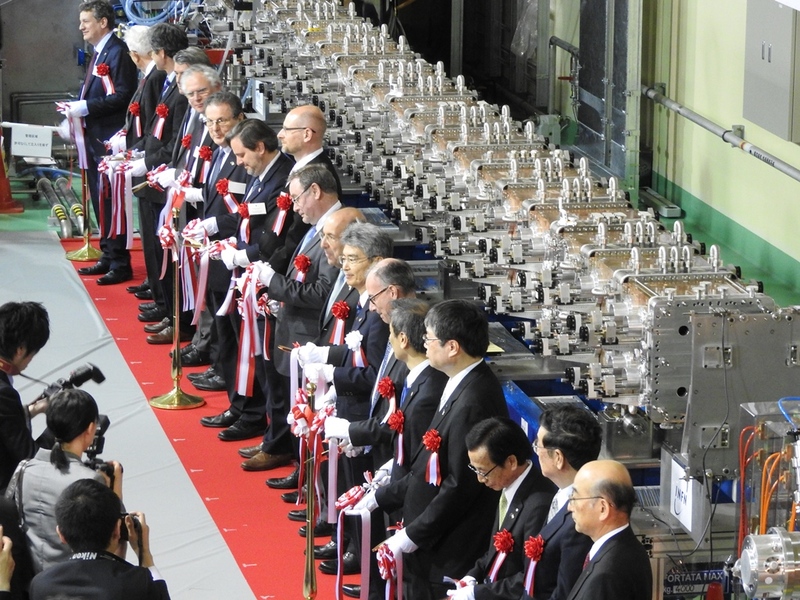 A key milestone related with the LIPAc Installation and Commissioning activities, that are going on in Rokkasho, took place on Tuesday 14 October. 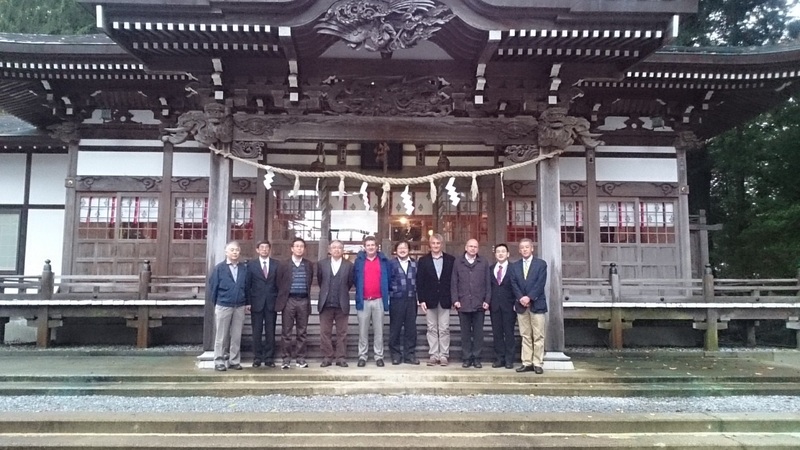 The project management from JAEA, F4E and PT went together to Hachimangu Shintoist Shrine in Noheji to pray for the success of LIPAc. Each of us made an offer to the Gods asking for their divine support to our project. Our actions were blessed with wind and rain from the strong typhoon that was passing over Japan those days. 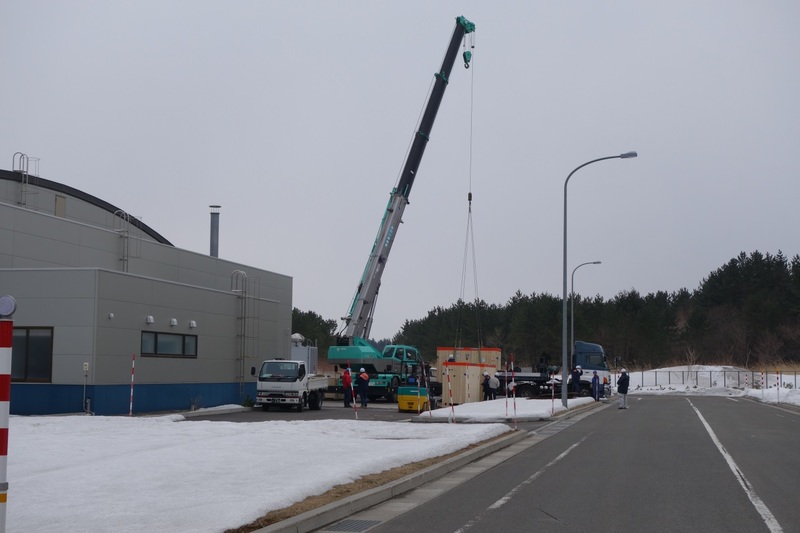 In Rokkasho, on the eastern coastline of Japan, Europe and Japan are jointly carrying out advanced R&D activities in support of ITER and for successful development of the phases after ITER. Termed the “Broader Approach,” these efforts have been underway since 2007. 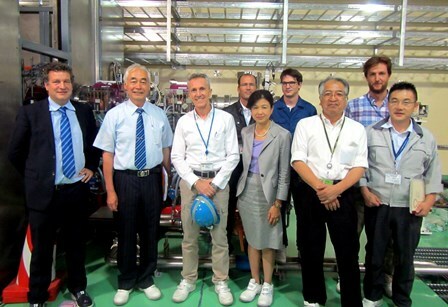 In early August, the Director-General of the ITER Organization, Osamu Motojima, and ITER Council Secretary, Sachiko Ishizaka, visited Rokkasho for an update on Broader Approach activities and to share information about progress at ITER. 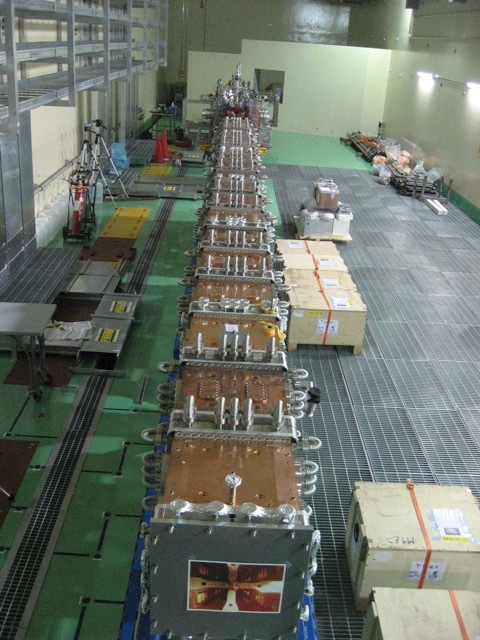 After visiting the facilities, including the injector of LIPAc, the Linear IFMIF Prototype Accelerator (LIPAc) that is presently under installation and commissioning, the visitors from ITER were able to appreciate the sound advancements and robust health of the Broader Approach projects. Photo caption: After meeting the management of the Japan Atomic Energy Agency, ITER Director-General Motojima (second from left) gave a seminar to Broader Approach staff on the evolution of ITER. 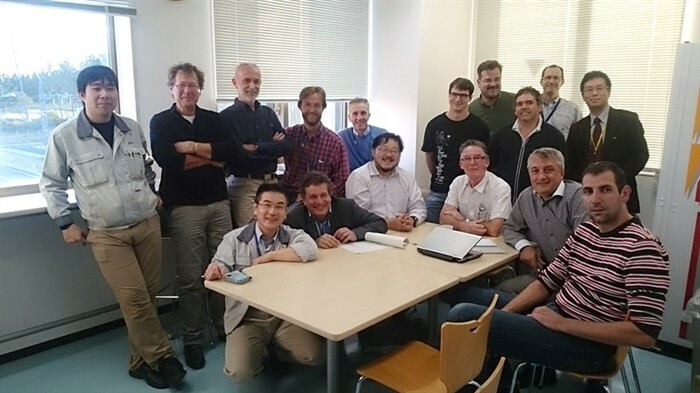 Juan Knaster, Project Leader of IFMIF/EVEDA (far left) and Noriyoshi Nakajima (not pictured), Project Leader of IFERC, explained the status of their respective projects and plans for the future. Council Secretary Sachiko Ishizaka is pictured fifth from right. 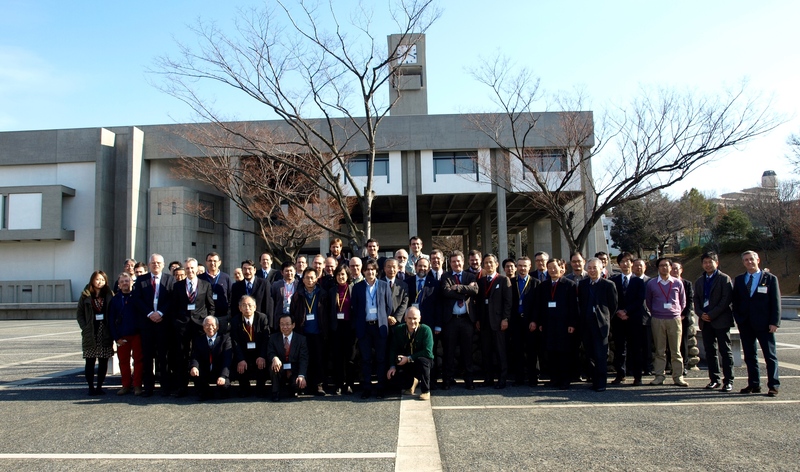 Kenkichi Ushigusa, Director-General of Rokkasho Fusion Institute (JAEA) is pictured third from right. 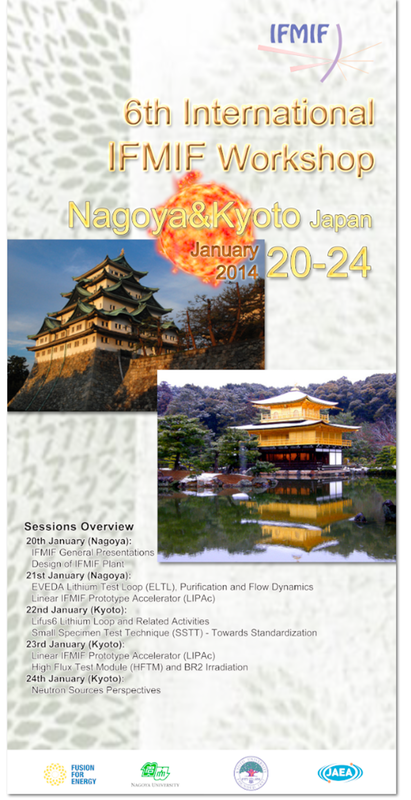 The New Year brought a very important event for the IFMIF agenda: the 6th International IFMIF Workshop, kindly hosted by the universities of Nagoya and Kyoto, from Monday 20 to Friday 24 January 2014, where the most recent advances and achieved milestones of our project were shared among the community. In particular, the recent achievement of the IFMIF IIEDR (Intermediate IFMIF Engineering Design Report) submitted on schedule on June 2013, stamping the end of the IFMIF Engineering Design Activities, was thoroughly covered during the first day. Also, the on-going activities on the different EVEDA prototyping subprojects were discussed, with special relevance to the latest advances of the LIPAc accelerator, which installation is about to start. The time we all passed together reinforced the links and allowed lots of valuable parallel discussions to exchange ideas and to clarify points of view, which are essential for the important coming milestones that we will have to overcome in the next months. Our project is entering a decisive phase but the global enthusiasm shared these days in Nagoya and Kyoto reflect a strong will to face the difficulties ahead, and are a foretaste of the coming successes.